Malaysia Urban Retreat Festival (MURFEST) 2017 is returning for the four consecutive year from the 3rd -5th November at Le Meridien Putrajaya. This year Le Meridien will be Urban Retreat Venue partner. Thanks to Ministry of Youth & Sports for the continues support through FitMalaysia & Ministry of Tourism & Culture Malaysia, XHale Asia aims to develop Malaysia into the next Health & Wellness Tourism Hub by 2020. MURFEST has come a long way in establishing the mindset of healthy living through wellness activities and we are continuing this effort to further implement this through MURFEST. This year, we are proud to collaborate with industry experts to further enhance the festival content," said Shobie Malani, founder of MURFEST. Add on to her speech, "Every year, MURFEST continues to improve the program content and this year alone we introduced the Awards segment to acknowledge the beauty and wellness industry heavyweights. Without these important stakeholders the wellness industry in the country let alone in the region would not flourish." In this 3-Day Festival, participants will explore and experience various of activities example workshops, certificate programs, marketplace and other wellness related activations. 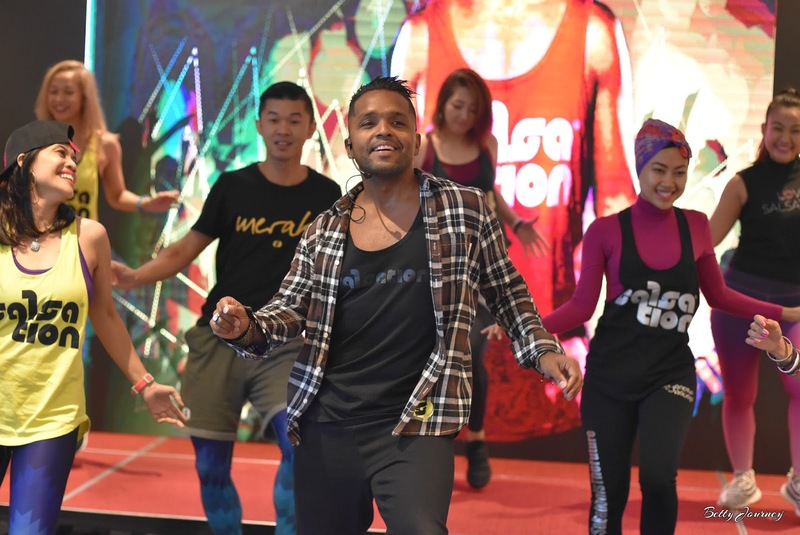 Check out GloKL | Dance Fitness Party featuring top Salsation trainers, Alejandro Angulo through collaboration with 360 Active Studio. GloKL | Dance Fitness Party will take place at The Plaza, LimKokWing University, Cyberjaya on the 4th November 2017. Participants can expect other new introduction into the programs including Master Classes workshops, certification programs and free for all community based activities. XHale Asia will enter into an MOU with Convedge Sdn Bhd, the sole partner of Fusionex International who provides SME e-commerce platform and specializes in Analytics and Big Data adoption for enterprises and businesses Malaysia. XHale Asia & Converage plans to tap the potential in the Health, Wellness & Beauty by offering help to brands and clients to manage, make sense of and derive useful insights and information from the vast amounts of structured and unstructured data at their disposal through a dedicated marketplace. In this collaboration, Covedge will provide Fusionex Ant and 8excite as the digital and loyalty platform for JustBE Markets. Families with children can enjoy the KIDZ CLUB at Le Meridien Putrajaya a treats for children, a haven that not just harness their boundless energy but also caters to their sensitive, growing emotional and metal needs. AMSPA The Association of Malaysian Spas will be hosting 1 day AMSPA Wellness Convention at the Le Meridien Putrajaya. MURFEST tickets on sale now starting from RM69 to RM399. Particiapants can get special rates for URBAN Retreats stay at Le Meridien Putrajaya. Specially designed " Explore & Experience Urban Retreats" Packages are also available at www.murfest.com . For more information, visit www.murfest.com or connect to support@murfest.com .